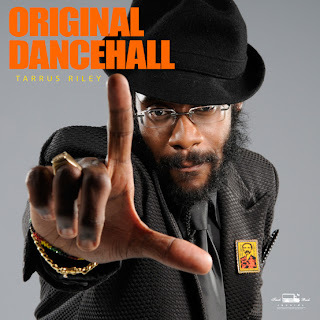 Tarrus leads the way with the tune 'Original Dancehall'. Truckback Records has released a brand new version of one of dancehall reggae's best loved rub-a-dub riddims, Freedom Blues, to mark the 50th anniversary of Jamaican Independence in 2012. Starting with the bubbling, seductive melodies and bass line originally made a staple of Jamaican dancehalls by Pinchers, Admiral Tibet, Ninja Man, and Brigadier Jerry, Truckback producers Adrian and Steve Locke injected the dancehall classic with up-to-the-time vibes for Jamaica's biggest stars. Now, for the first time, Tarrus Riley, Gyptian, Busy Signal, Warrior King, and Turbulence contributed contemporary narratives and are excited to team up with Truckback on this brand new commemorative release called "Freedom Shines", that will connect longtime dancehall fans and the newest generations. Truckback's Steve Locke says the Freedom Shines Riddim is one way for Jamaica's older and younger generations to come together through music. "Going into the project we wanted to use the power of music to unite Jamaica. Freedom Shines brings together the old and the new- everything old is new again." Adrian Locke adds, "Tarrus, Busy, Gyptian, Warrior, and Turbulence loved the idea of reintroducing a classic with a special spin on it." Indeed, freedom certainly shines on Truckback's first release of 2012.